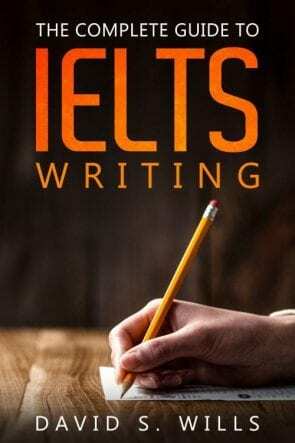 Writing a good essay for IELTS requires a good structure. It is how we compose our thoughts so that other people can understand them. The intro to your essay will normally consist of a sentence that outlines the topic, and then another that acts as an essay thesis or statement or intent. You should have two or three sentences altogether. If the question asks for your opinion, you should give it here. The body paragraphs are the main part of your essay. These may give your side of an argument, or explore two sides of an issue. Remember that a body paragraph should be limited to one idea. To get a high band score, you should be able to develop this idea – perhaps explain, give details, or examples. If you are presenting an opposing viewpoint, you may explain why you disagree with it. See the above PPT and video for more information about this. In the conclusion, you should give a summary of what you’ve said by paraphrasing your introduction and then restating the main points from your body paragraph. You can do this in just one or two sentences. Hey there! Quick question, is it absolutely necessary to use the “outline sentence”? It feels very “I am 10 years old and can’t write a proper thesis statement that actually outlines my essay with the thesis itself.” Is this what you would say is an “official structure”? No, nothing is really absolutely necessary. However, I would strongly recommend it for IELTS students. It shows a grasp of structure and language, even if, as you say, it may seem rather simplistic in a native speaker’s academic essay. In learning English writing, I think it’s important students work within a set structure until they have really quite advanced skills, otherwise it tends to turn into a disaster. Giving guides for each sentence is essential. At a certain point they can then break free and try something more complex.